Emperor Suizei (綏靖天皇, Suizei-tennō), sometimes romanized as Suisei and known as Kamu-nuna-kaha-mimi no mikoto; was the second Emperor of Japan, according to the traditional order of succession. No firm dates can be assigned to this emperor's life, but he is conventionally considered to have reigned from 581 to 549 B.C. Modern scholars have come to question the existence of at least the first nine emperors; Suizei's descendant, Emperor Sujin is the first that many agree might have actually existed. The name Suizei-tennō was assigned to him posthumously by later generations. Suizei is regarded by historians as a "legendary emperor" and there is a paucity of information about him. There is insufficient material available for further verification and study. The reign of Emperor Kinmei (c. 509 – 571 AD), the 29th emperor, is the first for which contemporary historiography is able to assign verifiable dates; however, the conventionally accepted names and dates of the early emperors were not to be confirmed as "traditional" until the reign of Emperor Kammu (737–806), the 50th sovereign of the Yamato dynasty. In the Kojiki little more than his name and genealogy are recorded. The Nihonshoki is more expansive, though the section is mythical, and almost wholly cut from the cloth of Chinese legends. An Imperial misasagi or tomb for Suizei is currently maintained, despite the lack of any reliable early records attesting to his historical existence. 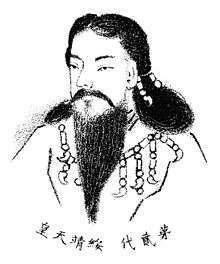 He is ranked as the first of eight emperors without specific legends associated with them, also known as the "eight undocumented monarchs" (欠史八代,, Kesshi-hachidai). The Kojiki does, however, record his ascent to the throne. According to its account Suizei was the younger son of Jimmu's chief wife, Isukeyorihime. 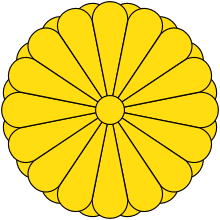 His older brother, Kamuyawimimi was originally crown-prince. On Jimmu's death Tagishimimi, a son of Jimmu by a lesser wife, Ahiratsuhime, attempted to seize the throne. Suizei encouraged Kamuyawimimi to slay Tagishimimi, but since he was overcome by fright at the prospect, Suizei accomplished the deed. On this, Kamuyawimimi ceded his rights and declared that Suizei, being braver, should be emperor. The story may simply reflect an attempt to explain the ancient practice of ultimogeniture, whereby the last-born exercised superior rights of inheritance, a practice later replaced by primogeniture. Jien records that Suizei was one of the sons of Emperor Jimmu, and that he ruled from the palace of Takaoka-no-miya at Katsuragi in what would come to be known as Yamato Province. This emperor's posthumous name literally means "joyfully healthy peace". It is undisputed that this identification is Chinese in form and Buddhist in implication, which suggests that the name must have been regularized centuries after the lifetime ascribed to Suizei, possibly during the time in which legends about the origins of the Yamato dynasty were compiled as the chronicles known today as the Kojiki. The actual site of his grave is not known. This emperor is traditionally venerated at a memorial Shinto shrine (misasagi) in Nara. The Imperial Household Agency designates this location as his mausoleum. It is formally named Tsukida no oka no e no misasagi. 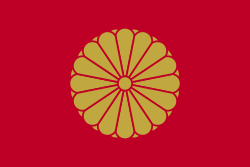 1 2 Imperial Household Agency (Kunaichō): 綏靖天皇 (2); retrieved 2013-8-22. ↑ Titsingh, Isaac. (1834). Annales des empereurs du japon, pp. 3–4., p. 3, at Google Books; Brown, Delmer M. (1979). Gukanshō, pp. 250–251; Varley, H. Paul. (1980). Jinnō Shōtōki, pp. 88–89. ↑ Brinkley, Frank. (1915). A History of the Japanese People from the Earliest Times to the end of the Meiji Era, p. 21, p. 21, at Google Books; excerpt, "Posthumous names for the earthly Mikados were invented in the reign of Emperor Kammu (782–805), i.e., after the date of the compilation of the Records and the Chronicles. 1 2 Aston, pp. 138–141. ↑ Chamberlain, Basil. (1919). The Kojiki, p. 184.